Watch a contemporary sculptor demonstrate the use of traditional tools in this short video. It shows how prior to the use of power tools, the same basic implements were used for stone carving for hundreds of years. 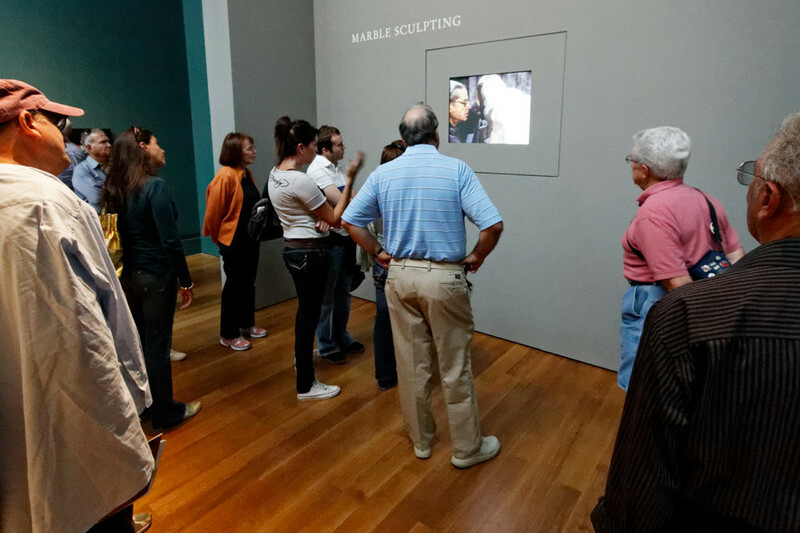 The video was produced using historical footage and excerpts from an interview with a contemporary sculptor. It was first shown in a major exhibition on Bernini portraiture together with didactic wall panels with examples of marble carving tools and materials. Produced for The J. Paul Getty Museum exhibition Bernini and the Birth of Baroque Portrait Sculpture in 2008. Looping video on 32" screen; also available online.